Josh and I love Chinese food! Being long distance, trips to meet at our half-way point in London’s China Town for dim sum or a meal were quite common when we first started dating. So what kind of honeymoon would it be if we didn’t seek out a yummy Chinese restaurant! This came in the form of Saigon Saigon on South Saint Andrew Street. The first time we went it was really busy (a good sign!) but we still managed to get a table looking out across the street where I could people watch to my hearts content. We actually went back here before we left but I’m going to mush these two trips into one for the purpose of this post! 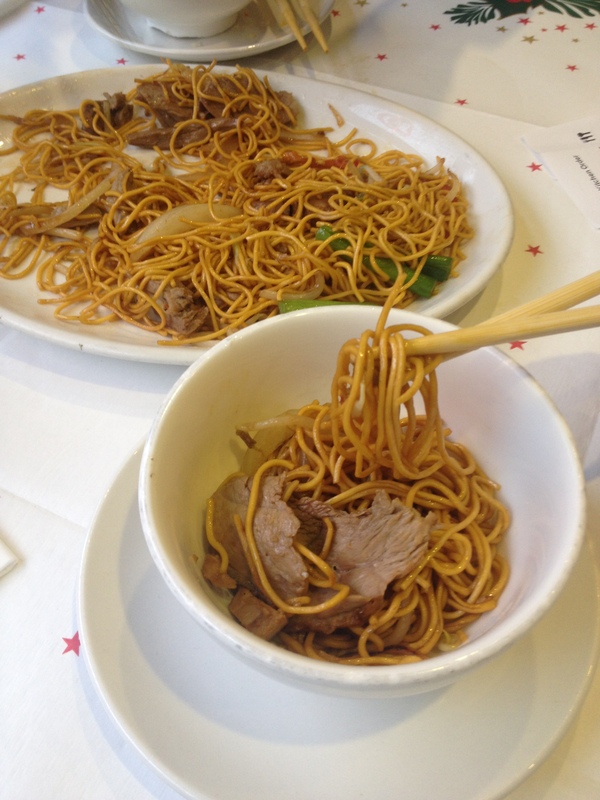 On the left is a picture of duck chow mein. This was fab! Not too salty or fatty with a nice subtle flavour. You just can’t go wrong with a bowl of comforting noodles! On the right is a dim sum dish that I’ve never tried before! One of our all time favorite is Char Siu Bao, a fluffy cloud bun filled with sweet and sticky bbq pork. This, however, was it’s baked-in-the-oven cousin with a sweet honey glaze and sesame seeds. The next time we went we had the original steamed char siu bao, some lemon chicken (which was actually a little bit vinegary for us, it was more like a sweet and sour) and a pork chow mein. As well as this we got to try another new dish! This was called Chicken Siu Mai (or Shu Mai) which is a small ball of mince wrapped in a water dough wrapper. I didn’t get a picture of this unfortunately so I borrowed this from Google and I think this is the prawn variety! 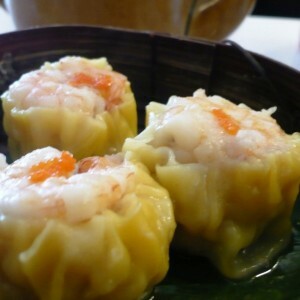 Sui Mai was originally a street food in Asia and served from stalls from the side of the roads. I’ve been eye-ing it up for a while and I’m glad I got to finally try it! 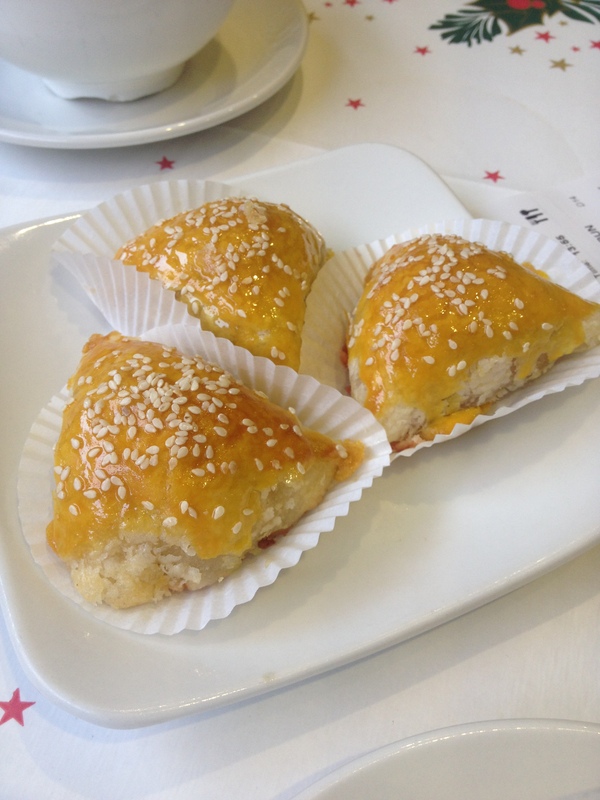 It’s one of the most traditional dim sum dishes. It was delicious, perfectly chewy, really meaty in flavor and texture and definitely something I would have again!